Thinning hair is a common occurrence among aging people, but other factors can also contribute to a sudden loosening of your hair. Changes in your diet or lifestyle can be both blamed for the damage sustained by your hair. In this article, we discuss the most common factors that contribute to hair thinning and the best remedies for thickening your hair. Thinning hair can be permanent or temporary, with a gradual or sudden on-set. Certain diseases of the scalp like dandruff or a fungal infection. If you notice that your hair is thinning, you should examine your diet and your lifestyle and visit your general practitioner for a routine check-up. The cause could be as simple as a B12 or iron deficiency that can be easily detected from a blood test. Regularly consuming fresh fruits, vegetables, seeds and nuts is essential to the health of your hair, skin and nails. Fruits and veggies contain vitamins and nutrients that contribute to healthy hair growth, while seeds and nuts are rich in omega-3 fatty acids that are known for their beneficial anti-inflammatory and skin health promoting properties. Almonds, flax seeds and aloe vera are especially good if you want to strengthen your hair and promote hair growth. Topically applying essential oils can also help with thinning hair issues. Rosemary oil applied over the scalp stimulates hair growth, helps get rid of dandruff and helps with a dry scalp. Put a few drops of rosemary oil in olive oil or castor oil and massage gently into the scalp and leave it for a few hours before washing your hair. There are a few supplements that can help to thicken your hair like cod liver oil supplements, biotin supplements, supplements that contain iron and vitamin B12. If dietary changes and other natural remedies don’t help to curb thinning hair and hair loss, you should talk with your doctor about medical remedies. You could also visit a trichologist, which is a hair expert that can suggest prescription drugs that can aid hair growth. When none of the above options help thicken your hair, your doctor may recommend hair transplant, which is a surgical procedure that is effective even in the treatment of pattern baldness. Healthy hair follicles extracted from your scalp are transplanted to affected areas of the scalp to thicken and add density to balding areas. 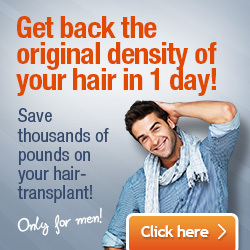 Hair transplant surgery is a reliable hair loss treatment, it’s still a fairly expensive treatment, especially in Western hair clinics. 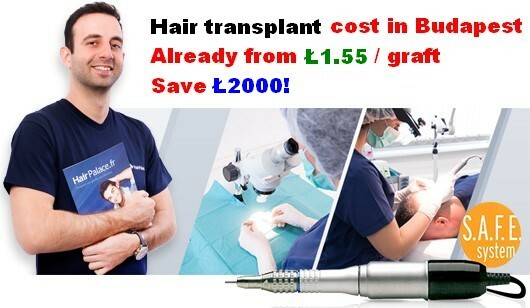 To overcome the budgetary constraints of hair transplant, many people choose to travel to a hair clinic abroad and get the surgery at a significantly lower rate. However, travelling to a foreign country for a medical procedure is not without its risks. Destinations like Mexico or Turkey can carry hidden risks like subpar medical facilities and untrained personnel performing surgeries. Therefore, we recommend choosing European countries like Hungary, where only specially trained hair surgeons perform these surgeries in medical facilities that conform to European standards.